Report evaluates strategies for dealing with U.S. partners and adversaries in Europe, Asia, and the Middle East in a time of diminishing defense budgets and an American public preference for a domestic focus. CHAPTER ONE. Introduction; CHAPTER TWO. 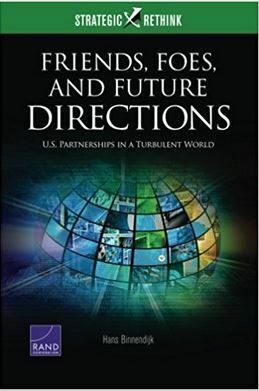 The Partnership Setting; The Historical Importance of U.S. Partnerships; Global Trends Affecting U.S. Partnerships; Partnerships Increasingly Require U.S. Political Flexibility; Alternative U.S. Approaches to Partnership Engagement; CHAPTER THREE. Anatomy of the Potential Adversaries; China; Russia; North Korea; Iran; Salafi Jihadists; Cooperation Among Potential Adversaries; These Adversaries Create Vulnerable Partners; Back to Bipolarity?